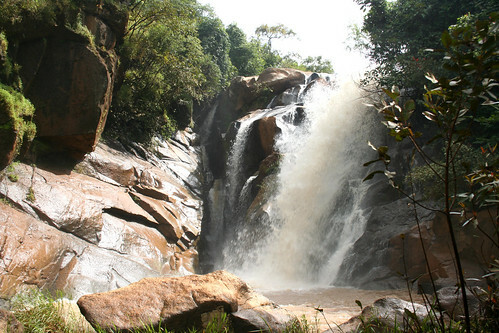 Aesop Falls, Plateau State, originally uploaded by nobodaddy69. Just before the final ascent onto the high plateau on the road to Jos you come to the village of Aesop. The waterfalls are two minutes walk from the roadside. The water gushes down, shocked at the discovery of gravity..